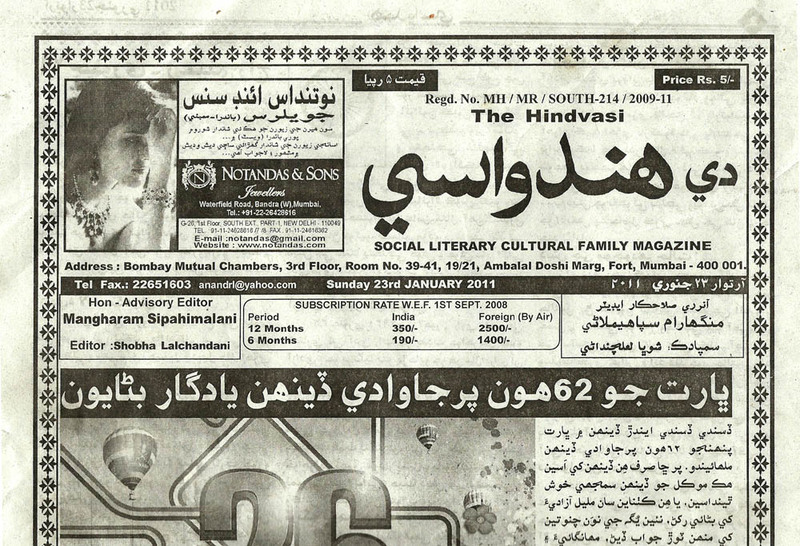 The Hindvasi is oldest Arabic Sindhi weekly. This was launched in the year 1916 in Sindh initially. The Hindvasi has played pivotal role in movement of Independence.